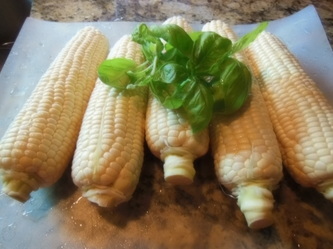 Cold Corn Soup is so naturally sweet and is perfect for summertime. 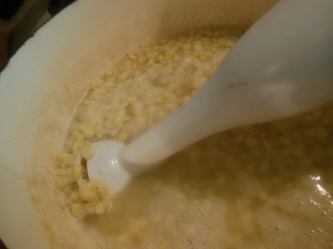 This soup is very easy to make with just a few ingredients. 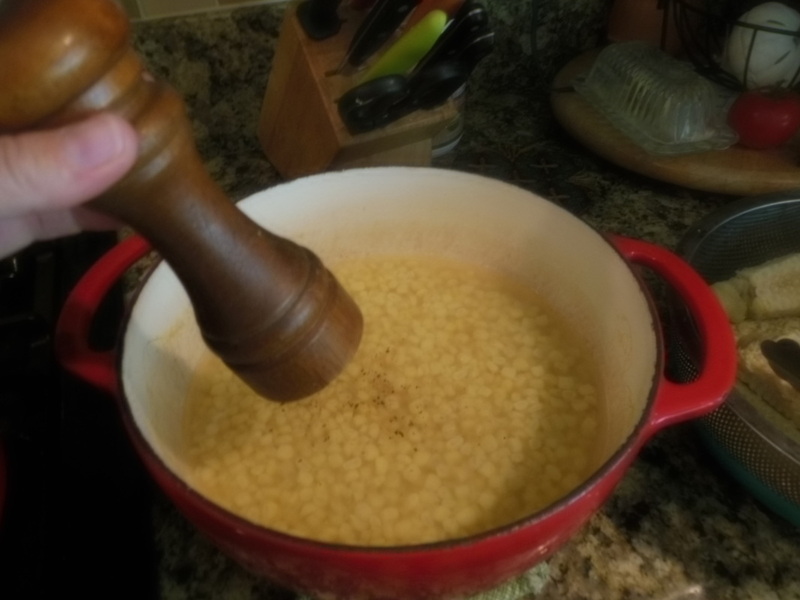 If you like the taste of creamed corn you will love this soup. I have topped it with a mix of fresh basil and parsley pistou. 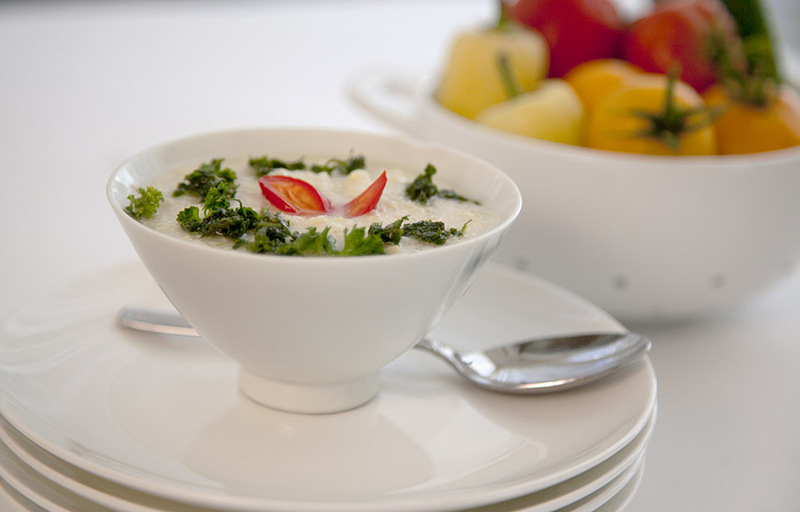 This cold soup would be a perfect appetizer served in a small chilled teacup or for a lunch on a warm summer day. Cut the kernels from the corn cob. I used my serrated bread knife and it worked perfectly. 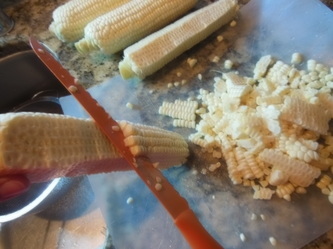 Cut the cobs in half. 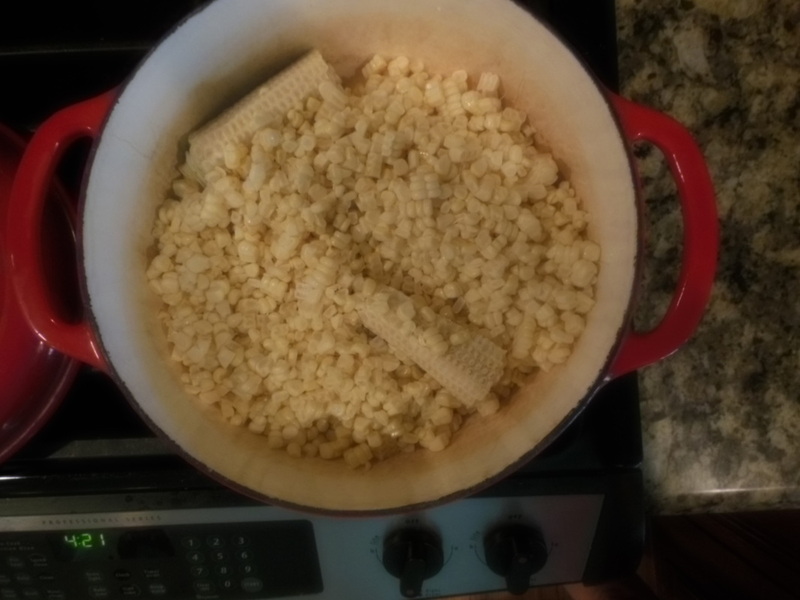 Put your corn cobs and kernels in a large soup pot. 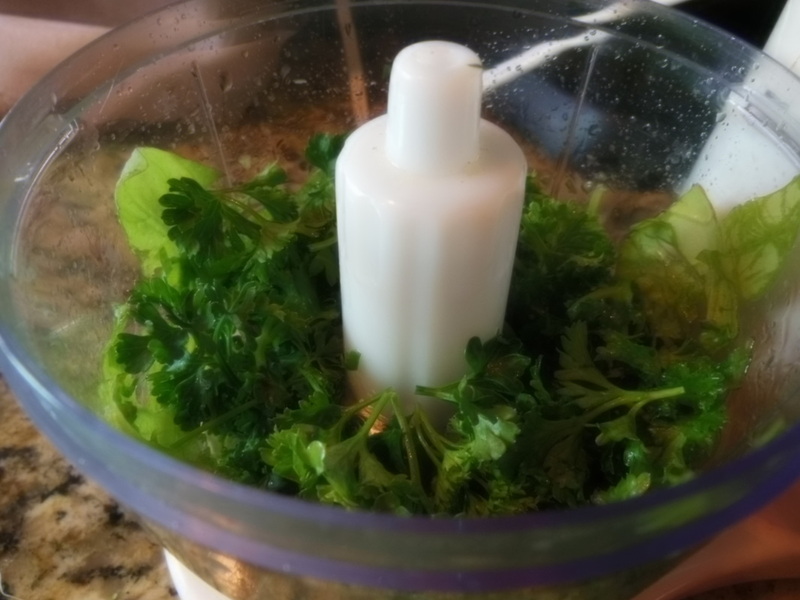 Cover with water, should be about 6 cups. Bring to a boil, reduce to simmer and cook for 30 minutes. 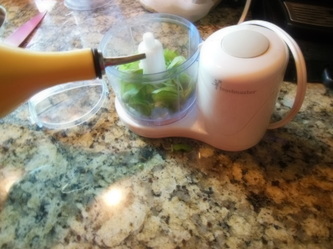 Remove the cobs and puree your soup with a hand blender or in batches with a blender or food processor. Season with salt/pepper to taste. 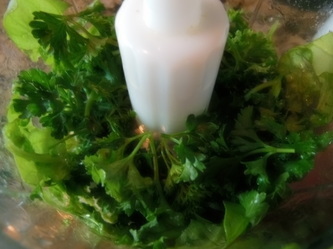 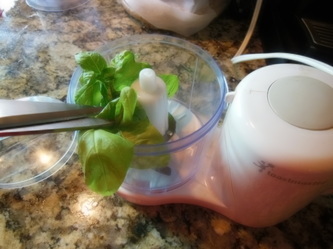 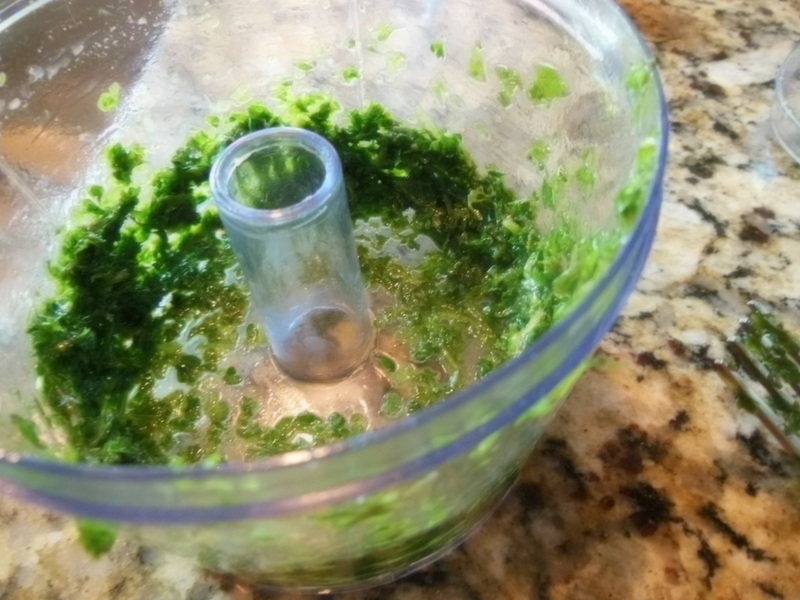 In a mini chopper or a food processor cut basil leaves and parsley into chopper bowl. Add one teaspoon olive oil and chop. Using your spoon release leaves from side of bowl and add one shake salt and pepper. 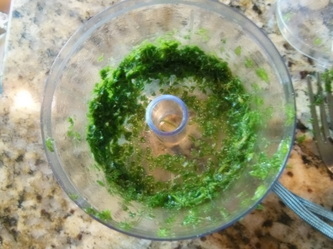 Chop again adding a splash more of olive oil if needed. Continue to chop until desired consistency, should look like pesto. 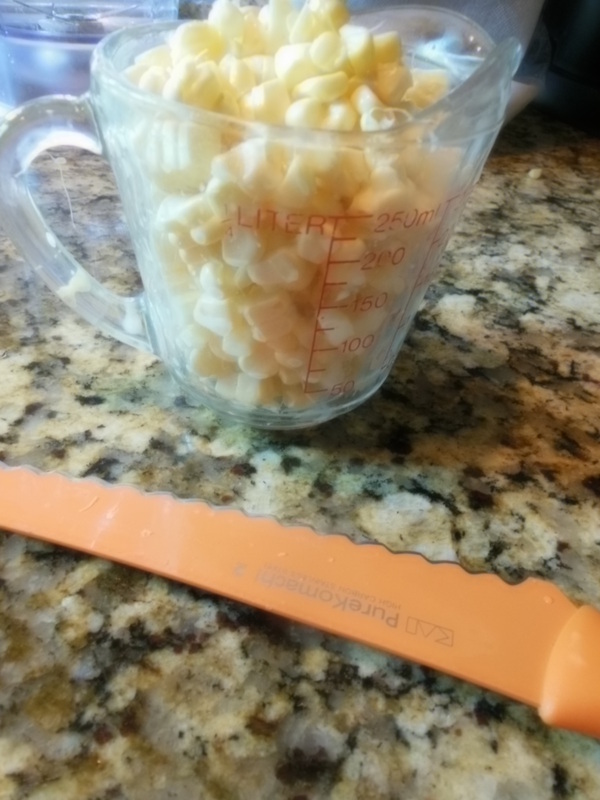 This soup was meant to be served chilled. 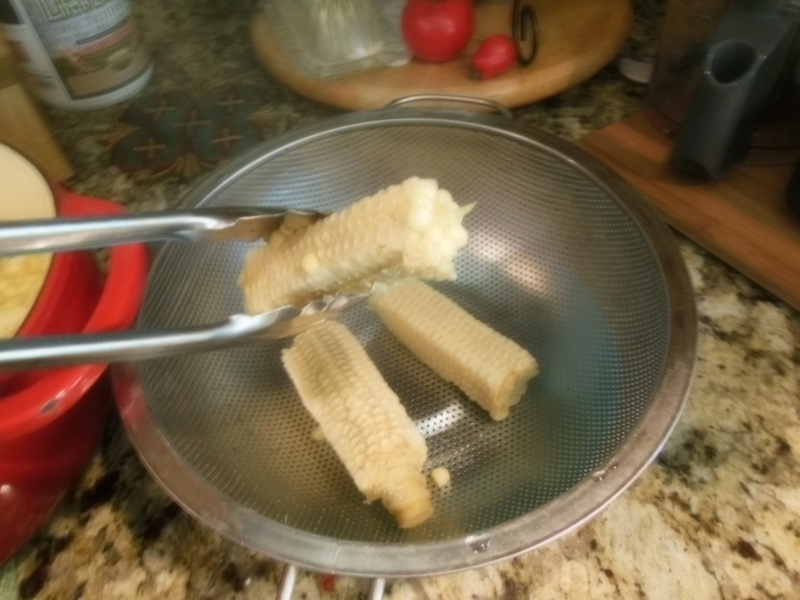 I tasted it warm and it was delicious. So it is up to you to decide which way fits your dining experience! 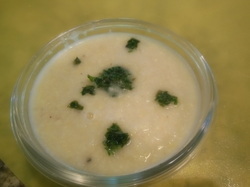 Serve this soup with a heaping tablespoon of pistou per serving. Would be very nice to put a few drops of hot chili oil around bowl as well. 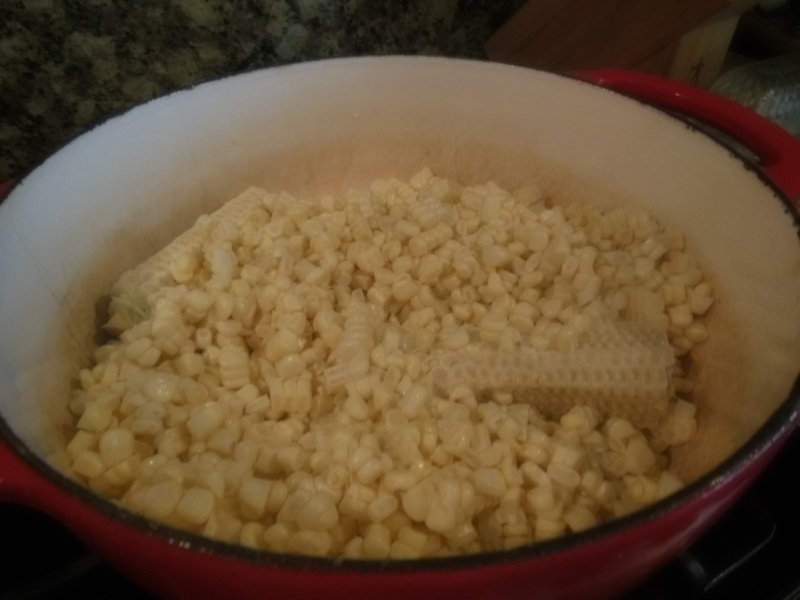 Either way, hot or cold, with chili or not I hope you enjoy this simple and easy to make corn soup.